I am excited to introduce you to our newest teammate and colleague, Josh Rose. Josh started four weeks ago as our new Manager of Docent and Teacher Programs and we are thrilled to have him on board. Josh will oversee the DMA docent program, teen docents, school partnerships with Booker T. Washington High School for the Performing and Visual Arts and the Irma Lerma Rangel Young Women’s Leadership School, and a wide variety of programs for teachers. Josh will also be responsible for the Museum Forum for Teachers and will manage gallery tours for K-12 students, higher-ed, and adult audiences. 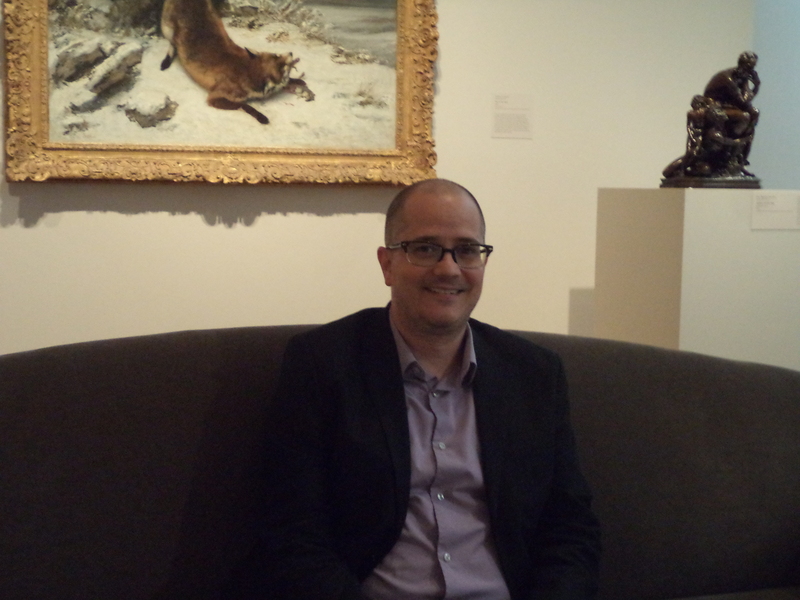 If you are a longtime attendee of Late Nights, gallery talks, or our lecture series, you may recognize Josh from his time here at the DMA six years ago managing adult programs. During his time away from the DMA, Josh has been immersed in teaching, serving as an adjunct instructor at multiple institutions, including the University of North Texas, Eastfield College and Brookhaven College, where he taught a range of courses from Art Appreciation to advanced art history classes on comics and Surrealism. Prior to working in public programs at the DMA, Josh interned at the Nasher Sculpture Center in education and conservation, and then worked there as a staff member in the Education Department. Josh has an MA in art history from the University of North Texas. His thesis was titled: When Reality was Surreal: Lee Miller’s world War II War Correspondence for Vogue. Josh also has a BFA in Studio Art from Texas State University in San Marcos. I drew a comic strip in college and graduate school featured in a nationally-distributed anthology published by Andrews McMeel. I once answered an open casting call for the role of Robin in Batman Forever. As a conservation intern, my first task was power-sanding an Alexander Calder sculpture. I’ve worked hard turning my daughter into a rabid Doctor Who fan, and she in turn has turned me into a rabid My Little Pony fan. We are excited for Josh’s fresh perspective that he brings and delighted to have him as our FAST (Family, Access, Schools, and Teachers) friend!